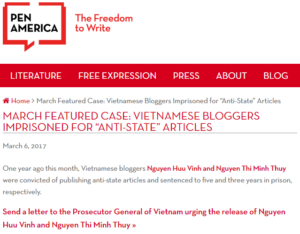 On 10 October 2016, Vietnamese authorities arrested blogger Nguyen Ngoc Nhu Quynh, known by her pen name Me Nam (Mother Mushroom), on charges of spreading propaganda against the State. On 29 June, Me Nam was sentenced to 10 years in prison. Known since 2006 for her active social media advocacy against the Vietnamese government’s rampant corruption, human rights abuses, and foreign policy, her arrest and later sentence should be seen as politically motivated. 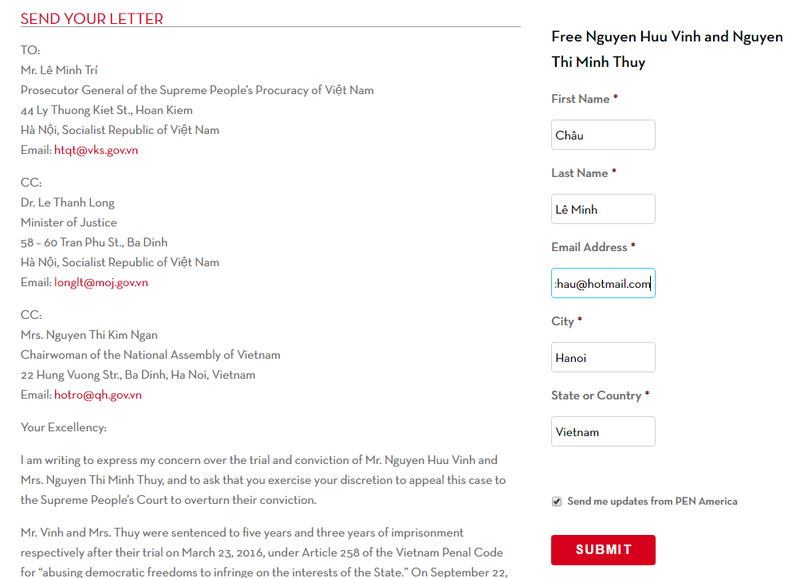 Civil Rights Defenders calls on the government of Vietnam to immediately and unconditionally release Nguyen Ngoc Nhu Quynh and to end its wider persecution of bloggers and journalists under Article 88 of the Penal Code. 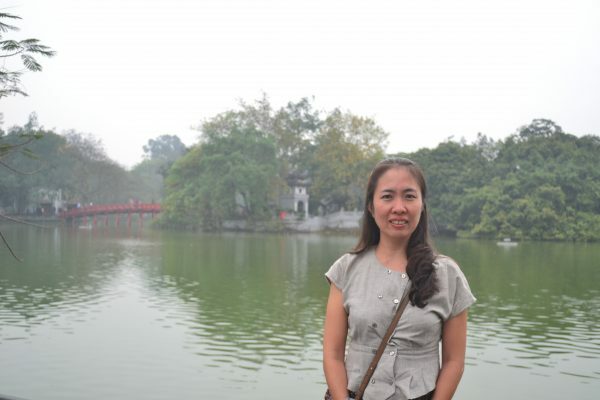 On the morning of 10 October 2016, Nguyen Ngoc Nhu Quynh (Me Nam) was arrested while on her way to visit another rights defender in prison. Her arrest and ongoing detention should be seen as nothing more than persecution against her courageous defence of human rights. Since 2006, Me Nam has been blogging about human rights abuses and corruption in Vietnam. In 2013, she co-founded the independent Vietnamese Bloggers Network, which is now blocked in Vietnam. She has investigated and published widely on environmental protection, public health, correctional reform and anti-torture efforts, and has been critical of Vietnam’s foreign policy toward China over disputed islands in the South China Sea. Me Nam has posted information about over 30 people who have died in police custody and has been active both online and offline in documenting and demanding redress for the 2016 Formosa environmental disaster, when the Taiwanese-Vietnamese Formosa Ha Tinh Steel Corporation leaked toxic waste into the ocean having a devastating impact on tens of thousands of Vietnamese in four coastal provinces. Because of her tireless defence of human rights, Me Nam has been frequently targeted for harassment by the state, previously detained, interrogated, and beaten. Following her arrest on 10 October 2016, Me Nam was held in incommunicado pre-trial detention until 20 June 2017, when she was first allowed to meet with one of her lawyers. The government also targeted her family in the month preceding her trial, the worst on 20 May 2017 when over 50 security officials surrounded the family’s house. On 29 June 2017, following a speedy trial that failed to meet international fair trial standards, the People’s Court of Khanh Hoa province sentenced Me Nam to 10 years in prison under Article 88 of the Penal Code, for “conducting propaganda against the state.” The outrageousness of the sentence is compounded by serious grounds for concern over her deteriorating health. The International Covenant on Civil and Political Rights (ICCPR), to which Vietnam is a State Party, holds that anyone arrested or detained is entitled to a prompt trial without unreasonable delays and discourages pre-trial detention. Anyone who is arrested or detained is entitled to a lawyer of their choosing and to a court proceeding to decide without delay the lawfulness of their detention. The United Nations Human Rights Committee, which monitors the implementation of the ICCPR, holds that incommunicado detention denies the right to a fair trial, and raises the risks of torture. In April 2017, the United Nations Working Group on Arbitrary Detention found Me Nam’s detention to be arbitrary and called for her release. Instead, Vietnam proceeded with its persecution of Me Nam under the Penal Code. In contravention of Vietnam’s obligations under international law, Article 88 is often used to silence and imprison peaceful government critics and human rights defenders for exercising their right to the freedom of expression and opinion. 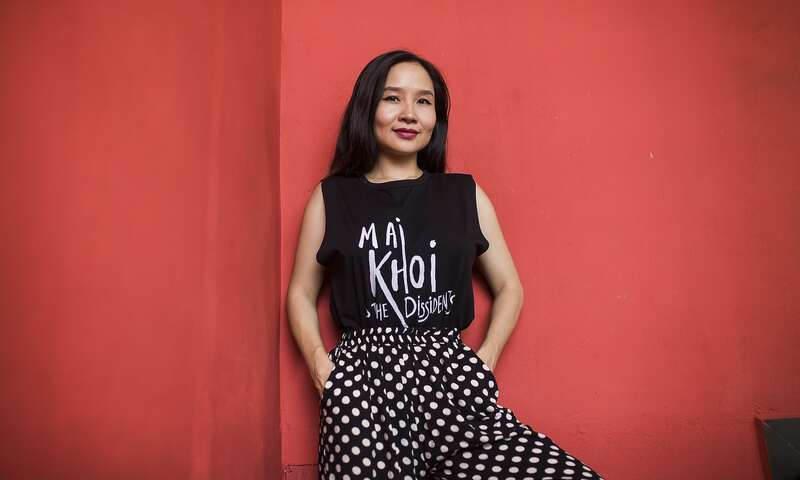 On the one-year anniversary of her arbitrary arrest and detention, Civil Rights Defenders urges the government of Vietnam to immediately and unconditionally release Me Nam, and to immediately end its wider persecution of bloggers and journalists under Article 88 of the Penal Code. As a prisoner of conscience, Me Nam has the right to remedy, including necessary medical attention, which Vietnam should ensure without conditions. Vietnam should amend or abolish those sections of the Penal Code that do not comply with its obligations under international law. 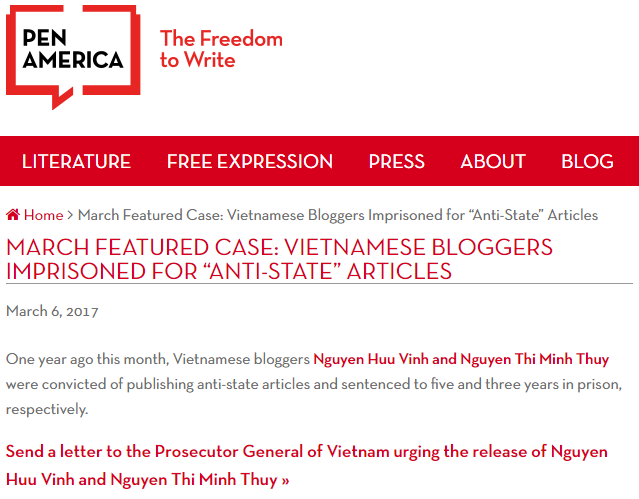 Meanwhile, Vietnam’s donors, trade partners, and especially those seeking to expand relations with Vietnam, should likewise pressure the government to release Me Nam and all others arbitrarily detained for the peaceful exercise of their right to free expression. Download as pdf: Public Statement.